Set for another show stopping exhibition, the Great Hospitality Show Birmingham will this year be joined by Europe’s Leading Hotel Management and Asset Management Consultancy, Michels & Taylor’s Senior Commercial Director, Krupesh Patel. The leading hotel expert will be giving one-to-one business advice at the UK’s largest exhibition for foodservice and hospitality at the NEC Birmingham on January 23rd-25th 2017. With a variety of commercial positions under his belt from IHG to Hilton Worldwide, Krupesh Patel’s highly established career sets the bar for others within the hospitality industry. Prior to joining Michels and Taylor Krupesh was Assistant Director of Revenue Management for Hilton Worldwide responsible for managing a portfolio of 30 hotels across Europe. Krupesh’s Revenue Management career has seen him successfully manage a diverse range of business models which include renowned European Leisure resorts and top London hotels. He is now a Senior Commercial Director for Michels & Taylor, co-ordinating the Asset Management of branded and independent hotels across Europe through leading their feasibility, consultancy and brand option projects. 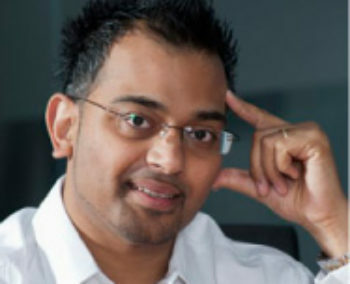 Alongside other leading hospitality professionals, Krupesh will be attending the event as part of a team of highly skilled business mentors, all ranging in specialisms and expertise. Whether looking for advice and guidance on front office systems, revenue management, business development or anything else industry related, the mentors will be on hand to answer any queries. As the event gets underway the business mentors will also take part in various insightful panel sessions on the Business Briefing Stage. The Great Hospitality Show, one of the top industry shows within the United Kingdom, is guaranteed to provide a hub of hospitality knowledge, advice and expertise. Celebrating British hospitality, the show promises to provide a vibrant meeting place and new collaborations for innovative businesses. Find out more about the event and book your place now at www.hospitalityshow.co.uk.